Fliqi added a post in Current Affairs article 6 months ago. Fliqi added a post in Current Affairs article 7 months ago. Ministry of Railways & Centre for Railway Information Systems (CRIS) organised a seminar on “Leveraging IT for Mobility”. Minister of Railways & Coal, Shri Piyush Goyal graced the occasion as the Chief Guest. 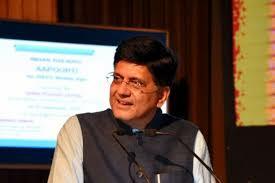 Shri Goyal also launched a new app – “AAPOORTI’ mobile App of ‘Indian Railways e-procurement system’. National Mission on Government e Marketplace (GeM) will be launched on 5th September 2018 to accelerate the adoption and use of GeM by major central Ministries, State Governments and their agencies. The aim of the National Mission is to promote inclusiveness, transparency and efficiency in public procurement and achieve cashless, contactless and paperless transaction. The government decided to make the Pradhan Mantri Jan Dhan Yojana (PMJDY) an open-ended scheme and added more incentives to encourage people to open bank accounts. 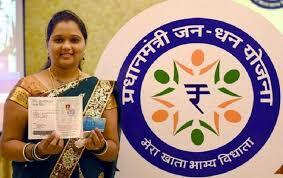 The flagship financial inclusion scheme was launched in August 2014 for a period of four years. Union Ministry of Environment, Forests and Climate Change (MoEFCC) will soon convene special meeting of Genetic Engineering Appraisal Committee (GEAC) to decide on field-trial approvals for transgenic mustard DMH-11 developed by University of Delhi’s Centre for Genetic Manipulation of Crop Plants.